From Crayons to the Classrooms! Home / News Articles/ From Crayons to the Classrooms! 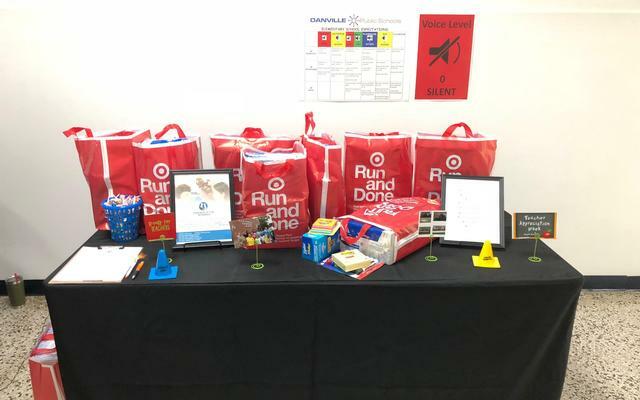 Fellowship Alum, Crystal Cobbs partnered with Danville After Hours Rotary to help educators obtain free school supplies for the academic year. The project was designed to help provide support to the students, staff, and families of the Woodrow Wilson, the intermediate school which reopened after being closed for nearly 5 years. Over 20 teachers provided a wishlist for items, including tissue boxes, cleaning supplies, markers, etc. ; Danville After Hours Rotary supplied bookbags for students. Fellows 500 (F500) is an extension of our Middle Border Forward Fellowship program. F500 exists to support the ongoing leadership efforts and community impact of the Fellowship Alumni. The $500 sponsorship supports projects that our +25 existing Fellows are leading or involved in. These projects are designed to pilot a larger project or initiative or to increase the impact of existing projects/programs. Check out more information on the MBF Fellowship!